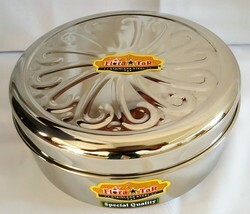 Steel Box(container) in various capacities used for seeds, cashew nuts, dry fruits, spices, grains and cereals, refined flour, corn flour, corn flakes storage which helps to keep the product fresh and contamination free for a longer period of time. We are an acclaimed name in the market proffering the excellent quality collection of Steel Container. They are available at affordable rates. We are available with a wide assortment of steel containers that are useful for storing different articles and food items. 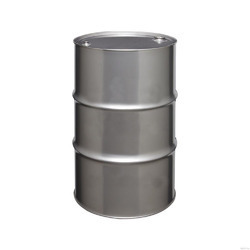 These steel containers are manufactured from best quality stainless steel and are availed at market leading prices. Further, we offer customized ranges and package consignments as per the demands of our clients all across the country. Cute Dubba has a unique design which adds beauty to your storage cabinet. Set of 3 dubbas are provided for convenient storage. Stainless steel storage containers are always a better alternative to plastic storage containers. We are the manufacturer and supplier of wide array of Steel Containers for Home Decor. To meet the diverse requirements of customers, we offer these products in various designs and sizes. The Ss In Process Container is manufactured by our company using high quality raw material. These products are used for the storage of the food or any other component that is in process of preparation. These are made up of high quality stainless steel and are mainly used in pharmaceutical industries. These products are available in the market at a competitive price. The corrugated steel container we manufacture increase productivity and maximize floor space. These rugged welded corrugated containers comes with maximum 5 stacking. Our containers save the shipping cost by eliminating the reoccurring cost of expandable packaging.